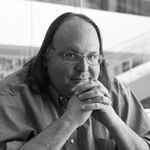 D&S advisor Ethan Zuckerman defends usage of video recording of police officers. If video doesn’t lead to the indictment of officers who shoot civilians, are we wrong to expect justice from sousveillance? The police who shot Castille and Sterling knew they were likely to be captured on camera—from their police cars, surveillance cameras, and cameras held by bystanders—but still used deadly force in situations that don’t appear to have merited it. Is Mann’s hope for sousveillance simply wrong? Not quite. While these videos rarely lead to grand jury indictments, they have become powerful fuel for social movements demanding racial justice and fairer policing. In the wake of Sterling and Castille’s deaths, protests brought thousands into the streets in major U.S. cities and led to the temporary closure of interstate highways.